There’s nothing more annoying than looking in the mirror and discovering that your favorite white shirt has yellow armpit stains. Not only does it look gross, it’s also a total confidence-killer. 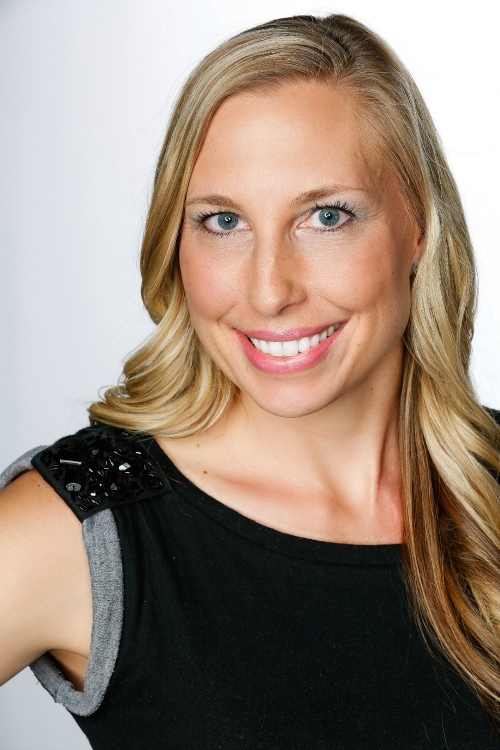 Equally annoying is putting on your favorite black tee or dress only to have to take it right back off within minutes because your deodorant has left you with those dreaded white streaks. This has happened to me one too many times, so I was excited to learn that Unilever has come out with a handful of new Axe, Degree and Dove antiperspirants to combat this problem. Even more excited than me was my teen son — he wears white tees almost daily, and while he’s not a super sweaty guy, he is self-conscious about having yellow armpit stains. 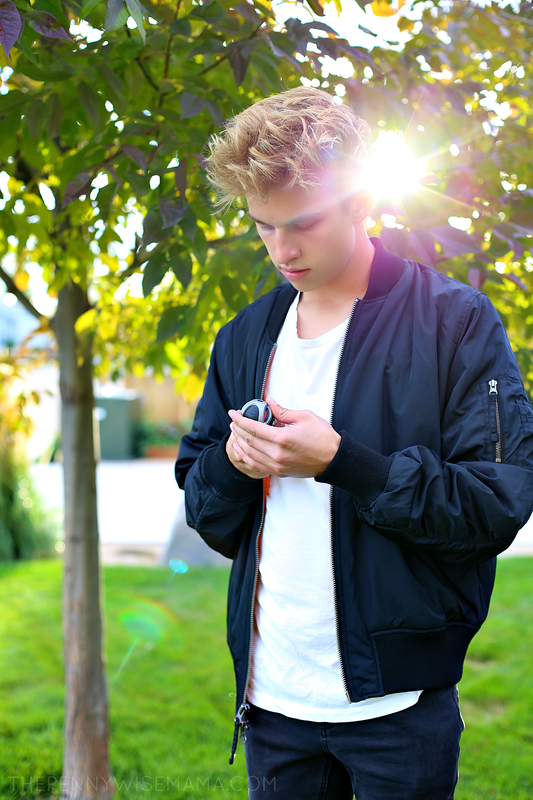 Teens have enough things to worry about and body odor or embarrassing streaks or stains on their clothes shouldn’t be one of them. They should be able to go to school with confidence knowing that they look and smell great. Thanks to new breakthrough technology from Axe, Degree and Dove this is totally possible! The all-new Axe, Degree and Dove anti-mark protection antiperspirants are designed to prevent white marks and yellow stains on clothing, while providing 48-hour odor and wetness protection. You can count on these dry sprays to not only keep odor and wetness at bay, but also keep your clothes stain- and streak-free. AXE Anti-Marks Protection Antiperspirant is designed to help guys protect their style by tackling the #1 unmet category deodorant need: preventing white marks and yellow stains on clothing. The new line of AXE Anti-Marks Protection Antiperspirant features a new formula with anti-yellow stains and no white marks technology specifically designed to protect your personal style so guys can look, feel, and be their most attractive self. 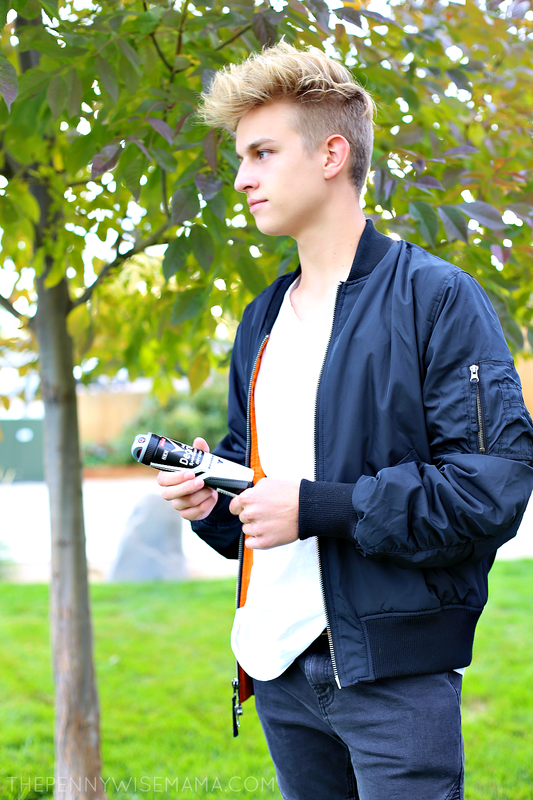 Available in a variety of AXE Signature fragrances. 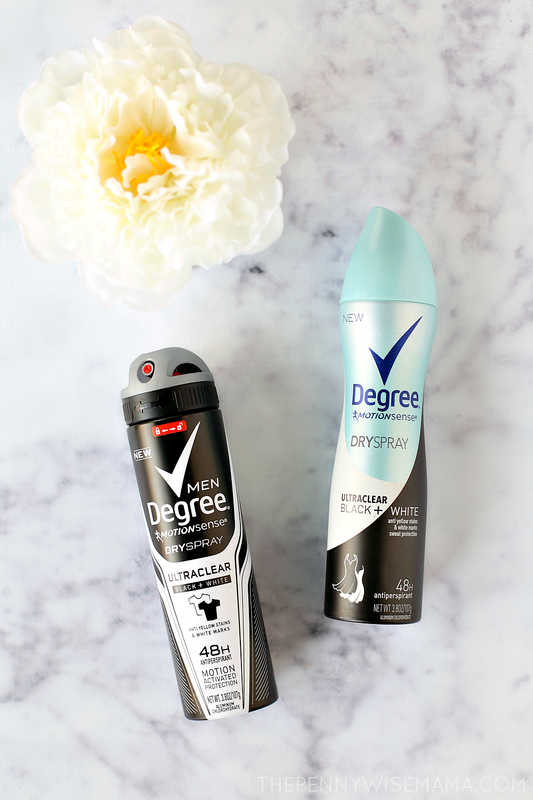 Degree Women UltraClear Black + White Antiperspirants address the #1 unmet deodorant need in the U.S.: white marks and yellow stains on clothing. With an exclusive formula that contains anti-yellow stains and white marks sweat protection, Ultra Clear Antiperspirant protects against unwanted marks or stains. It also includes MotionsenseTM Technology and is designed to respond directly to your body movement. The more you move, the more it works. The collection provides 48-hour odor and wetness protection and is available in two fragrances. 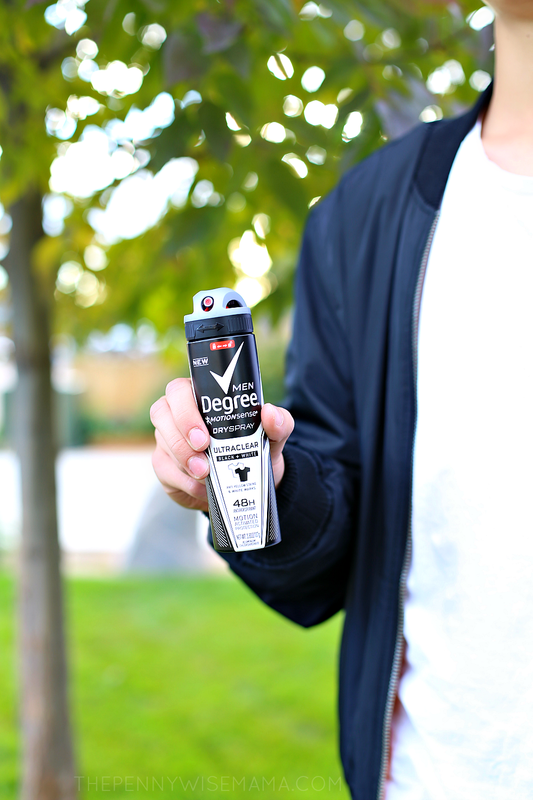 Degree Men UltraClear Black + White Antiperspirant address the #1 unmet deodorant need in the U.S.: white marks and yellow stains on clothing. With an exclusive formula that contains anti-yellow stains and white marks sweat protection, UltraClear Antiperspirant protects against unwanted marks or stains. It also includes MotionsenseTM Technology, and is designed to respond directly to your body movement, the more you move the more it works. The collection provides 48-hour odor and wetness protection and is available in two fragrances. Dove Invisible Antiperspirants are reformulated to leave no white marks on 100 colors of clothing. Offered in Dove Advanced Care and Dove Dry Spray formats, these antiperspirants go on invisible while providing 48-hour odor and wetness protection plus Dove 1⁄4 moisturizers for added skin care benefits. Available in two fragrances. Dove Men+Care Invisible Antiperspirant is tough on sweat, not on skin. Antiperspirant sticks and Dry Sprays are reformulated to remain invisible, leaving no white marks on 100 colors of clothing. The collection offers 48-hour odor and wetness protection, along with our Dove Men+Care signature 1⁄4 moisturizing technology and is available in two fragrances. We’re already huge fans of Dove antiperspirant, so I decided to pick up the Degree UltraClear Black + White dry sprays for me, my husband, and son to try. I love the women’s and my hubby and son are very happy with the men’s. Both smell great and they are working as promised! Want to put one of these anti-mark antiperspirants to the test? Now is a great time to shop and save! Through November 30th, shop at your local Kroger, King Soopers, Ralph’s or Fred Meyer and SAVE $1.50 on any ONE (1) AXE Signature Gold, Degree Men® UltraClear Black + White, Degree Women® UltraClear Black + White, Dove Men+CareInvisible, or Dove Invisible Antiperspirant product. Click here to get your exclusive coupon! great coupon and even better products. These sound like great products to help keep you dry! My husband really likes this Dry Spray. He takes it with him when he travels.